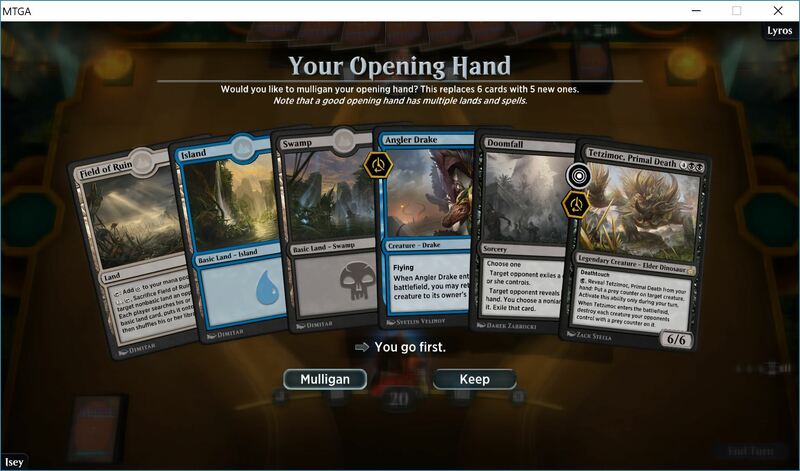 I finally got my closed beta invite to Magic The Gathering : Arena. I say that like I was always entitled to it and it was just a matter of time (I am, and it was, right?) but good old RNG worked in my favor in their last round of 100,000 invites. I quickly loaded it up, logged in grabbed a nature themed preset deck (I like nature. In real life. I have no clue if Nature decks are good.) and of course completely was slaughtered and confused. 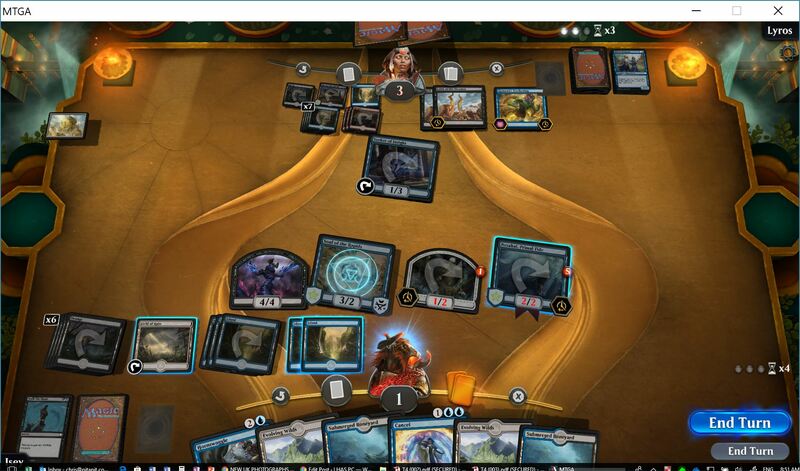 It is a beta, there is no tutorial yet, and my whole experience with MTG is duel decks my son bought and I played three times. I did forget to add I enthusiastically read all of Izlain’s WAR REPORT posts but without historical reference I hadn’t understood a whole bunch about them. 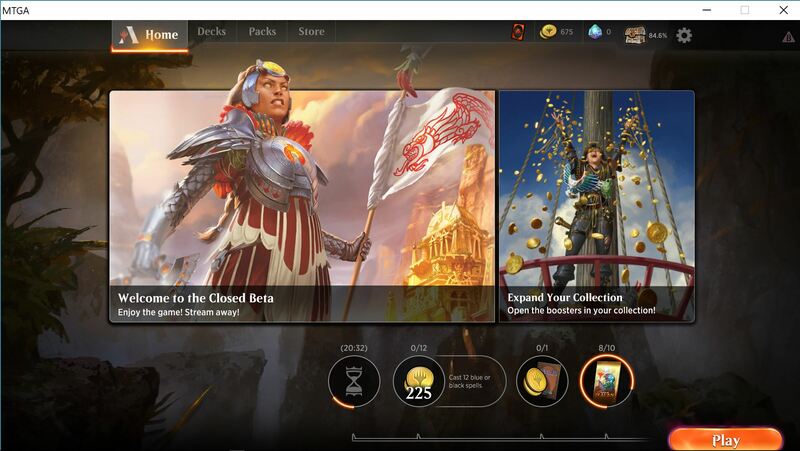 Safe – and happy – to say, after a few hours with MTG: Arena I already have a high level of comfort with how the game works. Yes, it’s completely intimidating and there are so many hundreds of cards and combinations that sorting through it all is extremely daunting. Thankfully I enjoy a new challenge, card games, and learning new things. All at once. The preset decks are pretty good. I added a planeswalker to one of them (cloning it), making it a bit better. The good of the game is that every card comes with an explanation. Some are challenging because without the context of the game phases, etc. it is hard to fully understand but what it is REALLY good at is highlighting a card you can play – whenever you can play it. Games ported to PC like this is a great training tool on how to play the game. It has things such as auto-tap land cards, auto-pass turn, etc. etc. The best part is you can turn any and all of these support features on or off depending on your comfort level. 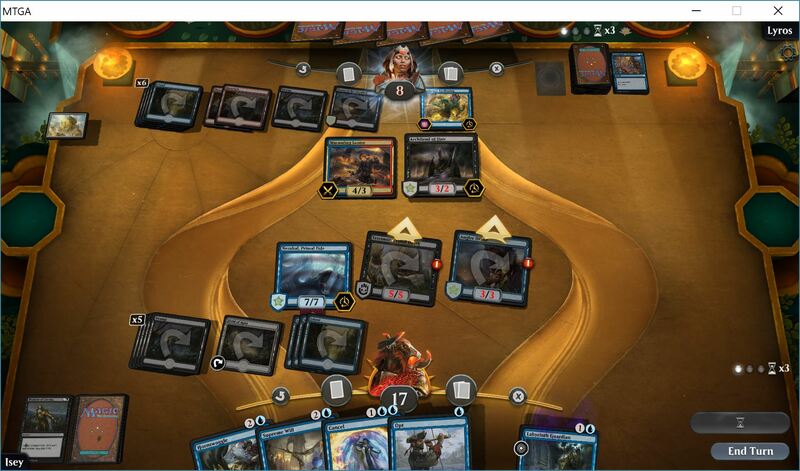 One – the auto-pass turn – actually tips off your opponent that you don’t have spell cards so that is the type of training well best to turn off. Like many games there are levels and ranks and similarly to Hearthstone the early levels you do not lose ranking for losing. In the second level (which I finally am at) you lose progress towards your next level but do not lose the level itself. Things aren’t entirely clear as I have been playing all ranges of levels (assuming that for the closed beta phase they are more interested in getting games and data in than much else) and I am quickly learning about some really freaking cool decks (that I don’t have a chance against) that are clearly custom made by really strong MTG players. I don’t mind losing if I am learning. The interface is slick and clear. Little bit of lag sometimes, but it is beta after all! 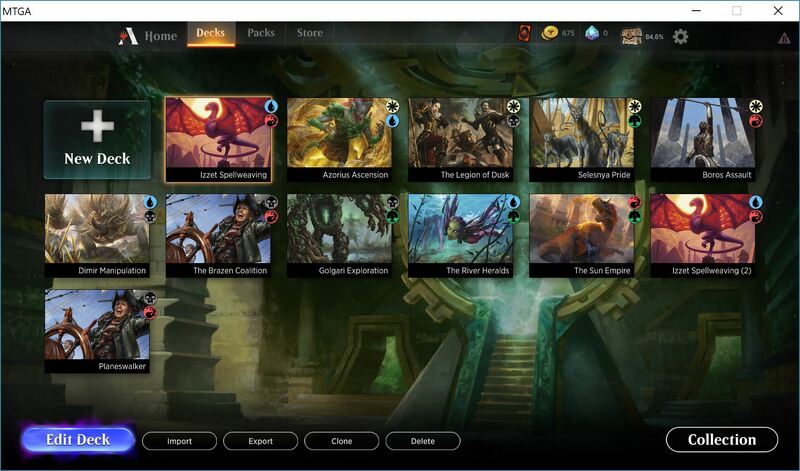 I have received a lot of packs and opened them all – but I honestly have no clue (outside of Pathfinders, which the Duels deck my 12 year old taught me to play on explained all about) what a good card is or a bad card, or how to best build a deck from scratch. There is decades of information here and too much to learn in a few hours. Sticking to the base decks and trying all of them (based off of daily rewards / challenges ie: play 12 black or red spells means I pick the black and red deck to learn). It looks like I am winning. I am not. He kept playing draw cards that took down my life 2 at a time and added 2 to him. I always played creature cards that used my land so I couldn’t counter them effectively. If I played it slower and smarter I could have won. This is part of the learning curve that I have to embark upon. The good news (for me) is that there seems to be a lot of other, new players in the beta as I am winning enough matches that I feel good about continuing to try. Assuming matchmaking has a part to do with this as well, as the true vets climb the ladder. I have an extra key from a second email for the stress test next week, if you are interested – let me know. That will also get you into the next phase of beta after the stress test. It’s fun. Wish it was on mobile, but probably too much important information to share on a small screen at this time. There is so much good complexity and nuance to the cards and sets I bet you could literally play this game for years before mastering it at all – but you can still get your wins along the way to feel good about the curve. Would be curious to hear about a seasoned MTG veteran’s take on the game. They must have dropped the NDA? I got into the alpha right when they announced it probably because I have a DCI number from playing in events at stores. I had to sign an NDA so I hadn’t written about it yet. Guess I’ll have to load it up again and see what’s changed. Yes – you can even stream it now. When I got the email it said closed, by the time I got to the forums there were official “link your streams here” posts.